For many, the thought of having surgery is a frightening proposition. With that in mind, you can rest a little easier knowing that you''ll be in the hands of highly trained, specialized surgeons with years of practical experience. Most of our surgical team has served their internships and residencies at some of the world''s most prestigious medical centers, and many participate in international medical congresses and conferences. The latest advances of modern surgery in Israel are constantly being introduced into the current practice and improve the approach to treating patients. The result: a world-renowned, modern surgical center that includes 18 departments, all united in their approach to treating a wide range of pathologies. Operating as a part of a complete hospital, the Chaim Sheba Department of Surgery provides services in all the areas of modern medicine. What makes our surgical department stand above other similar medical centers, both in Israel and abroad, is its impressive results. We constantly strive for the greatest possible patient outcome. We want all of our patients to return quickly to the lives they''ve built for themselves, with greater mobility and assurance. One of the most striking examples of this approach is the use of microsurgical techniques that allow the surgeons to perform the most sophisticated and minimally invasive surgical procedures available. 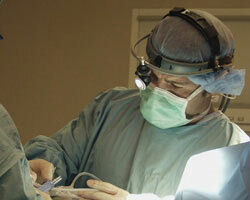 This significantly reduces the postoperative period and helps to ensure a successful surgical outcome.